Paris's haute couture fashion week is upon us, and with bated breath fashion experts and fashion lovers alike awaited today's most significant difference in the schedule: Dior's first haute couture show (since 2012) without Raf Simons at the helm, following the designer's departure back in October last year. So was the trailblazing Belgian's epoch completely over? Not entirely. The casualness and modernity that he imbued into the upper echelons of this once fusty society were certainly in check. Perhaps it was common ground with the seven nameless designers who are now tending to the storied Parisian fashion house, or perhaps it was inevitable in order to keep the couture fashion world alight and thriving. Either way, highly decorative dresses ticked all of the traditional boxes in terms of craftsmanship, but they were nonchalantly shrugged off shoulders or layered over fine gauge knits and under trinket-like necklaces. Many of the house codes were plain to see—the classic black Bar jacket, for example, making an appearance covered in glistening sequins and paired with a pencil skirt as well as tailored trousers. The whole? Futuristic and ladylike but ever-so-slightly—purposefully and noticeably more than we imagine Simons would ever present—sloppy. Perfect for the girls who like to take their couture kicked-back and eeeasy. 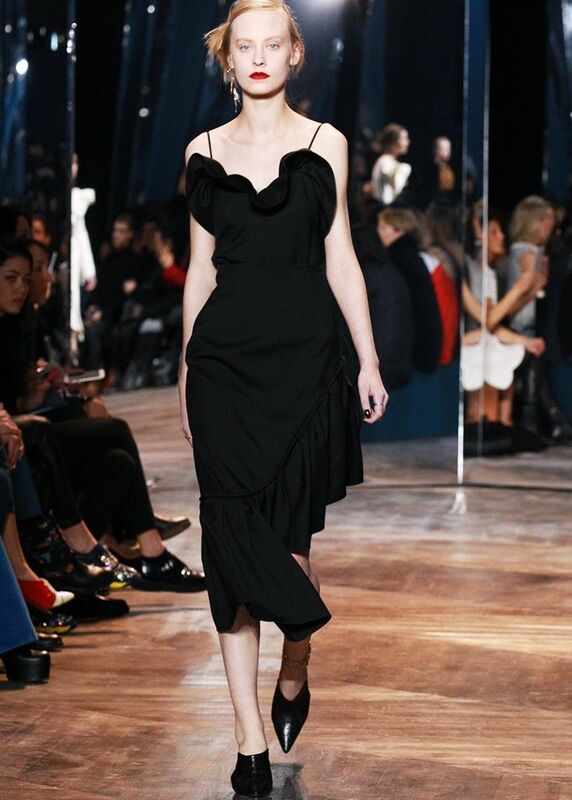 What do you think of Dior's new look? Shop the brand's latest in-store pieces here.